This image was taken with my cell phone while driving to Lansing on I-96 on a frosty March morning (my husband was behind the wheel). There was snow fog that morning and the landscape was stunning in its brightness. 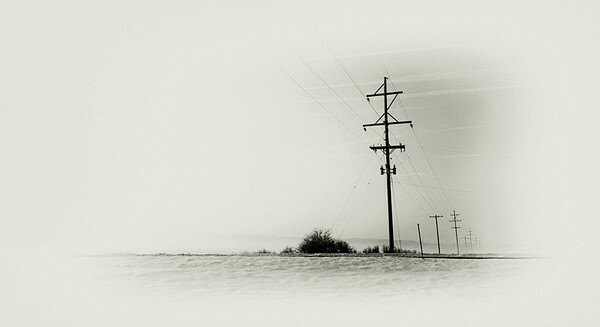 This image conveys a sense of isolation even though the subject is symbolic of communication. Please see the Shop page for more information.